I was born and raised a (relatively) fundamentalist Christian – from the Earth was created in 7 days and anyone who thinks otherwise can’t possibly believe in God, to homosexuality is an abomination against God, to Hell is a real place and most of the people in this world are probably going to end up there. I’m still a fundamentalist Christian, but only when it comes down to what Christianity actually means: what would Jesus do? If it’s not in the 10 Commandments, or if the words aren’t in red print (Jesus’s actual words), I take the dogma of the Bible with a small grain of salt, acknowledging that it is very much a cultural document subject to the changes and fluctuations of history, science, socio-economy, and lingual interpretation. I also know that it was assembled and distributed by men (NOT God), with deliberate omissions and heavy editing. It has great things to say – it also leaves plenty of room for questions. I don’t pretend to know the answers to the issues I listed above, or judge anyone for their varying perspectives (maybe homosexuality is the crown jewel of sin, and maybe the earth was created in seven 24-hour days – who really knows these things), but I also think it’s decidedly un-Christian to make a huge fuss about these details, alienating those lives we should be trying to touch. At the same time, I appreciate that religious leaders take a moral stand for what they believe in, regardless of its popularity at the time, and I uphold the right to express that belief without fear. That is everyone’s right and even their responsibility, as a human and leader, to have a moral compass and be allowed to talk about it. What really IRKS me, however, are the issues that Christians today have decided to make front and center in the national debate. Re: the Chick-fil-A debacle. 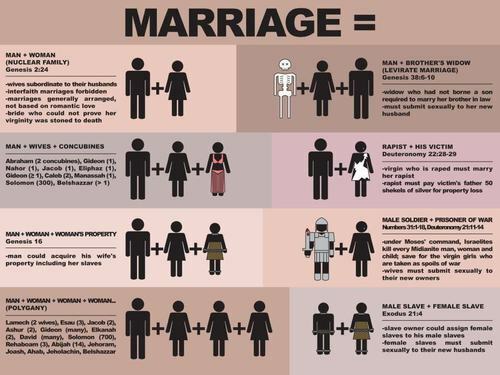 I’ve never understood why homosexuality – which gets no reference in the 10 Commandments or in Jesus’s red print – has become such a hot button issue for us. There are a small handful of verses in the Bible that actually address it (even fewer that address it directly), and they’re usually veiled within a story’s context, listed in a chapter that even the most conservative Christians acknowledge is no longer relevant, or buried among a variety of other abominations that get minimal mention in today’s socio-political arena. For example, fornication: I’m wondering how many of the people who waited in line at Chick-fil-A this past Wednesday protesting gay rights waited til marriage to experience their first sexual encounter. Or how many failed to gossip about their neighbor, their boss, or their crazy great-aunt. I’ll admit I want something I don’t have almost every day (who doesn’t?) Gluttony is an issue in America overall, and most of us get drunk fairly regularly too. Of course, no one ever really focuses on these parts of the same Bible verse, because – well – at least we’re not gay! 1) First, I wondered why Chick-fil-A’s stance has taken so many off guard. The CEO is a conservative Christian man (with many great qualities, I’m sure), who closes for business on Sundays (an actual Commandment that most Christians don’t even follow anymore.) Opposing gay marriage? Um…duh! This surprises you? 2) I know the issue is more complex than this, but I really don’t see how one chicken sandwich guru’s personal opinion is such a huge deal, worthy of all this outrage. I support equal rights for gays, but I also believe in free speech, and his stance is technically no different than even President Obama’s (and many presidents before him), up until recently when he came out in support of gay marriage. 3) I’m annoyed that liberals have allowed this to get so much attention. Now everyone knows this guy’s name, he has become a sensation (a hero to some, a villain to others,) and he has unintentionally encouraged more hateful behavior thanks to all this fuss. More polarization in this country is just what we need right now – geez. This is what intolerance leads to for everyone – hate, hate, and more hate. Everyone should have let well enough alone – which is why I’ve been trying to make light of it. If everyone had kept their cool and just continued to watch the Olympics, this story would have faded out of everyone’s mind and we could move beyond making people feel guilty for eating or not eating a chicken sandwich. That’s what I think, too. We are making progress on this issue overall! Like racism and sexism before it, belief systems never truly die, but this is why we have separation of church and state – Constitutional rights WILL prevail, and personal belief systems can be protected right along with them. We need to quit letting everything get to us in our hypersensitive culture, and Christians need to get back to the basics, because let’s face it – none of us are getting the details right. So – love our neighbors, love our enemies. Those are Jesus’s basic lessons for us. Focus on being a good person and living life for Jesus (or whoever/whatever you choose with your own free will.) Acknowledge that we don’t KNOW everything, and that’s okay. Don’t take the persecution laying down of course, but quietly, peacefully, lovingly fight it. We are each taking a gamble on our own destiny based on a million different factors. I’ve personally chosen to achieve eternal life through Christ. Regardless of what he’ll say to homosexuals on Judgement Day, I 100% know the people lining up at Chick-fil-A spewing hatred and judgement won’t get it any easier. In fact, I’m 99.9% sure they will get it worse! This entry was posted in Rants and tagged chick-fil-a, Christianity, civil rights, gay rights, Jesus, opinion, personal, politics, religion. Bookmark the permalink.